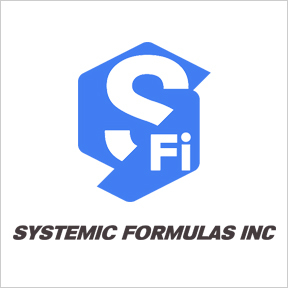 For over 50 years, Systemic Formulas has researched, developed and manufactured synergistic nutritional supplements designed to target a specific physiological system, as well as support overall wellness. These proprietary blends of vitamins, minerals, enzymes, amino acids, botanicals and RNA/DNA tissue factors are formulated to aid vital functions of the immune, digestive and organ systems. Along with a commitment to the highest standards of product purity, Systemic Formulas researches and manufactures unique products in a technologically advanced facility, utilizing a matrix of premium quality ingredients blended to be both gentle and effective. Designed to deliver wellness from nature, Systemic Formulas’ proprietary nutritional products support the alternative medicine community with practical applications for improved health and wellness. As such, products are available solely through healthcare practitioners. NeuroSyn: This advanced formula provides clinically effective doses of nutrients formulated to support healthy brain aging, cognition and memory, as well as provide multidimensional support for neurological health. Ingredients include vitamins, minerals, a proprietary nutritional cognitive blend and a proprietary cognitive herbalomics blend. Gluten free. Bio Challenge Bind: This formula provides a proprietary blend of heavy metal and toxin binding matrices, such as activated carbon, cascara sagrada and fulvic acid/humic acid to naturally support toxin elimination. Fulvic acid and other humic acids contain a plethora of nutrients that improve gut health, including trace minerals, electrolytes, fatty acids, prebiotics and probiotics. Gluten free. Bio Challenge Gcel: This product provides a premier source of acetyl-glutathione, as well as a proprietary blend of vitamins, minerals and herbal ingredients. Acetyl-glutathione is clinically proven to reach the cells to protect the mitochondria from oxidative stress, thereby supporting cellular energy production. Gluten free. Bio Challenge LGUT: LGUT provides a clinical dose of quercetin, turmeric, L-alanyl-L-glutamine and bioferrin in support of a healthy gastrointestinal tract, epithelial integrity and foundational health. Additional ingredients include aloe vera, FOS, L-glutamine, licorice root, lion’s mane mushroom and RNA/DNA duodenal tissue factors. Gluten free.